I've somehow caught the case of the sniffles =(. - Nails Inc - Hobart Place & Baker Street. 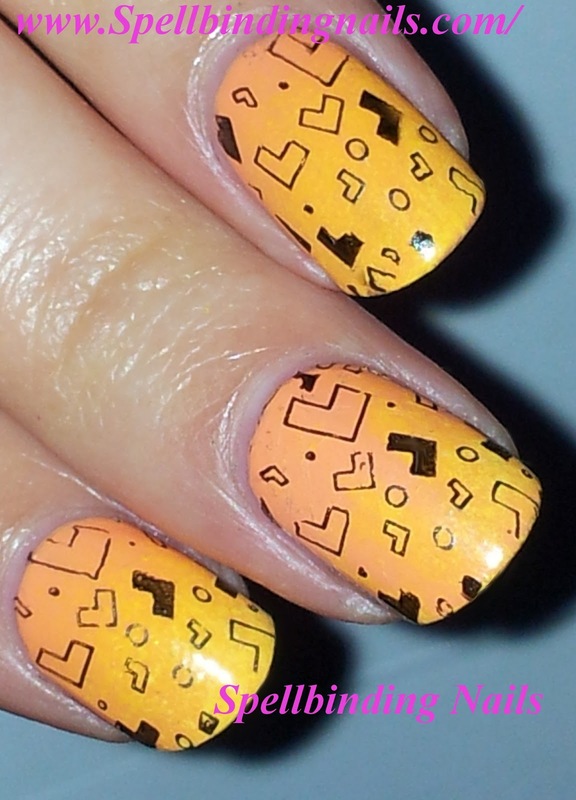 - Fab Ur Nails Stamping Polish - Yellow. - A Dark Green fraulein 38 Nail Art Liner. - Beauty UK - Foil Collection - Gold. Here is a picture before I went dotting crazy! =D. 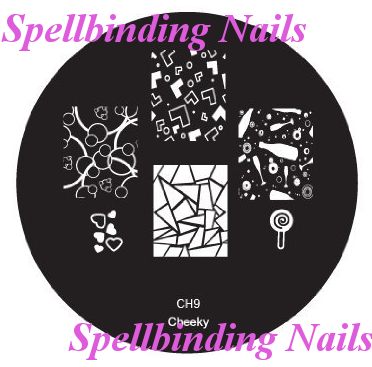 - One coat of Nails Inc's Hobart Place. - I then Sponged Beauty UK's Yellow Peril - Halfway up my nail. 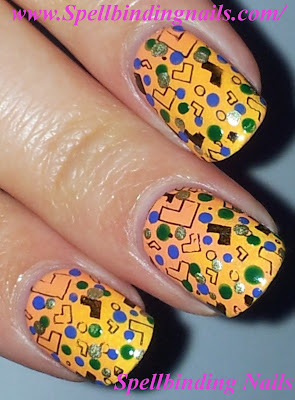 - I then sponged Fab Ur Nails Stamping Yellow Polish - On the tips of my nails. - Followed by a top coat =D. 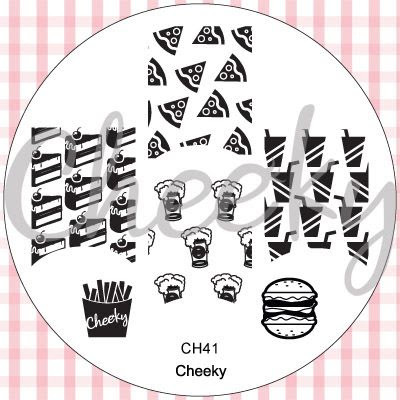 Here is Cheeky Beauty's latest teaser Image Plate! Do you like my manicure ? Tell me your thoughts on cheeky's latest teaser - will you be buying the summer collection? Love these, so bright and happy! Love the gradient! And the stamp reminds me a lot of Tetris, lol! lol I agree! =D - I love that game! Nice use of the Cheeky plate! !Thanks for the new teaser! I've missed that one, had a busy weekend with my family! These look yummy! So bright and cheerful! I love it! These look stunning. I can't wait to get the cheeky plates. I will definitely be buying them. Thank you - I recommend them fully!